LG G5 Camera 4K Cinematic Test! It’s always fun to make some 4K cinematic videos with new smartphones and today I decided to make one in Thailand since the scene is so different. What I realized by making this video with the LG G5 is that there are some wide-angle shots you can really get creative with. As I was making this video, I was able to instantly switch between the regular camera and the wide-angle instantly, which is a plus since you can get two angles in one shot. Of course, I think Galaxy S7 and S7 Edge are still a tad better but if you include the fact LG G5 has wide-angle, this may be the most fun camera to shoot with. 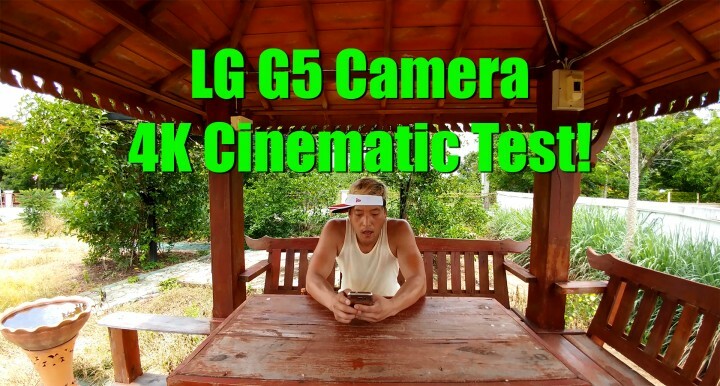 Now, the most disappointing fact is that LG removed manual video mode on the LG G5 (while LG V10 has it) and sadly, you will be stuck using ND filters to get the right shutter speed you want. LG should really push the video manual mode as having the option would make it more awesome. I did not use any ND filters in the video (mostly because I forgot to pack them with me on my trip to Thailand) but the video came out decent, not bad at all. Now if a smartphone company decides to put full manual controls along with built-in ND filters, that will be the ultimate videographer’s smartphone. Next story LG G5 Review! – Top 8 Reasons to Buy LG G5! Previous story Nexus 6P KILLS Galaxy S7 Edge in Camera Dynamic Range Test!